This would be an ideal gift for the discerning young miss or lady who wants to keep an occasional journal or some other private jottings. 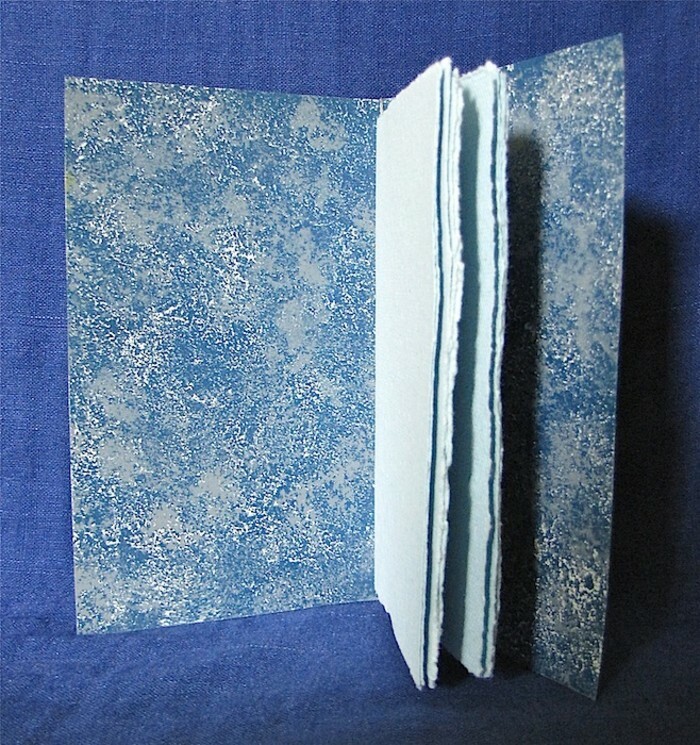 This lovely notebook has ten double sided leaves of blue coloured recycled, hand made paper, each approximately 150 mm X 95 mm in a hand painted cover of commercial card stock. 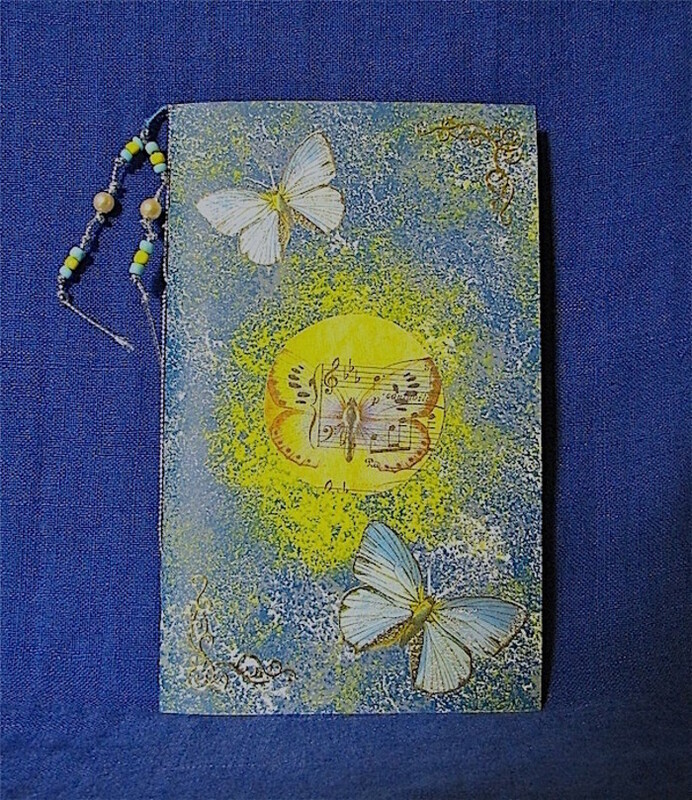 It is decorated with a motif of butterflies and music with gold embellishments. 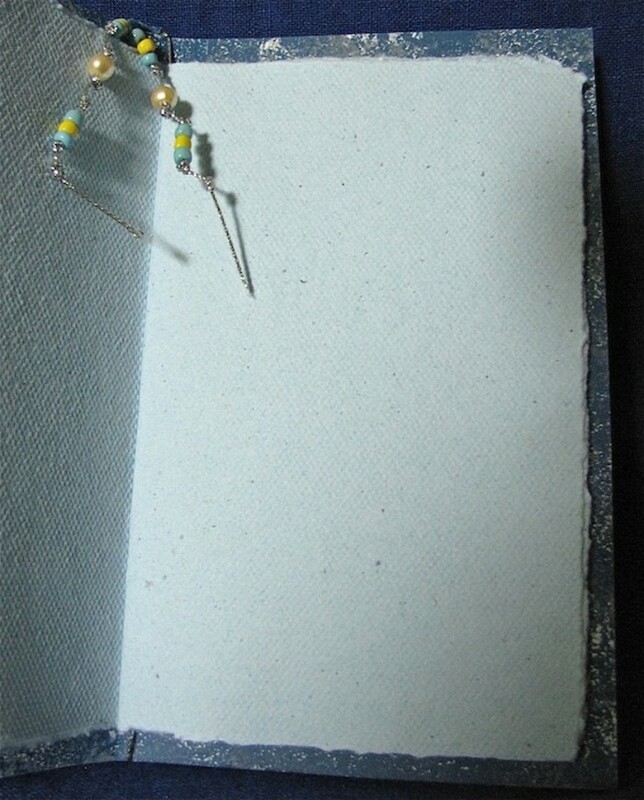 The notebook is hand sewn together with a gorgeous beaded tail. 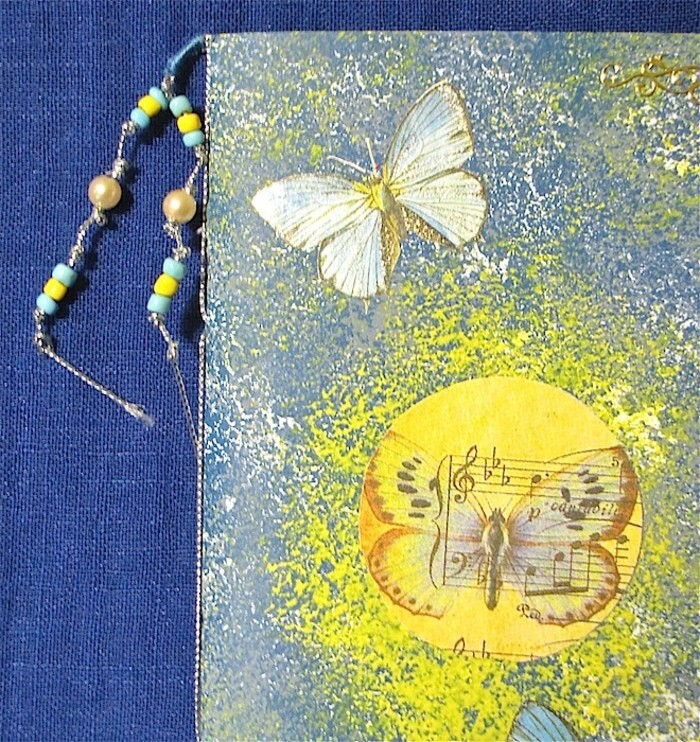 It has been said that the best things about hand made paper are the irregularities of colour, texture, size etc. that make it interesting, unlike the uniformity of machine made paper and this notebook exemplifies these traits.